Biohazard Labels mark containers that carry blood or other potentially infectious materials. Biohazard labels help infection control departments and the medical staff eliminate or minimize the risk of occupational exposure and help meet OSHA regulations. Biohazard Labels clearly identify biohazards contained in rooms, refrigerators, waste bags, containers and more. 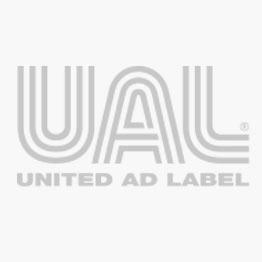 United Ad Label Biohazard Labels adhere to OSHA’s marking requirement 29 CFR 1910.1030 for blood pathogens. Available in numerous sizes, the fluorescent material ensures that biohazards are noticed immediately. Plus, the labels are designed to withstand both hot and cold temperature extremes. Biohazard Warning Label, 1" x 1"
Biohazard Warning Label, 1-1/4" x 5/16"
Biohazard Warning Label, 1-7/10" x 1-1/2"
Biohazard Warning Label, 2-1/4" x 7/8"
Biohazard Warning Label, 3" x 2"